In its Weekly Report On Israeli Human Rights Violations in the Occupied Palestinian Territories for the week of 22 – 28 May, 2014, the Palestinian Center for Human Rights (PCHR) found that Israeli forces wounded 8 Palestinians, including 7 civilians and a child. Four of the aforementioned Palestinians were wounded in the West Bank, and the other four ones were wounded in the Gaza strip. Israeli naval forces fired at and chased Palestinian fishing boats in the Gaza Strip Sea. In addition, Israeli forces conducted at least 65 military incursions into Palestinian communities in the West Bank. During these incursions, Israeli forces arrested at least 46 Palestinians, including 10 children and a woman. 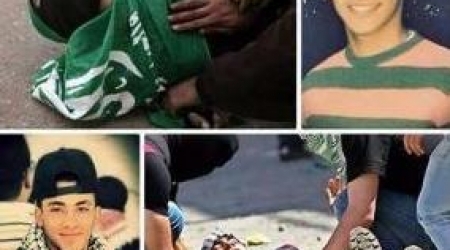 During the reporting period, Israeli forces wounded 8 Palestinians, including 7 civilians and a child. 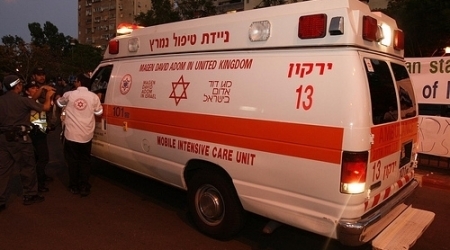 Four of the aforementioned Palestinians were wounded in the West Bank, and the other four ones were wounded in the Gaza strip. Israeli naval forces fired at and chased Palestinian fishing boats in the Gaza Strip Sea. In the Gaza Strip, on 23 May 2014, Mohammed ‘Abdel Men’em Ahmed Abu Shehadah (16) from al-Msadar village was wounded by a bullet to the right shoulder causing him paraplegia when Israeli forces stationed along the border, east of Deir al-Balah, opened fire at 3 brothers, who were collecting straws in an agricultural area around 350 meters away from the border. On the same day, a member of an Palestinian armed group was wounded by a bullet to the right thigh when Israeli forces stationed along the border between the Gaza Strip and Israel, north of al-Sifah area in the northwest of Beit Lahia in the northern Gaza Strip, opened fire at a group of a number of armed Palestinians who were present near the border. On the same day, Israeli forces stationed along the border, east of Jabalia in the northern Gaza strip, opened fire and fired tear gas canisters at a group of young men who were near the border in attempt to throw stones at the Israeli soldiers. No injuries were reported. Also on the same day, Israeli forces stationed on the watchtowers at Beit Hanoun Crossing (Erez) and in its vicinity, northwest of Beit Hanoun in the northern Gaza Strip, opened fire at a group of workers who were collecting raw materials in the destroyed industrial zone to the west of the crossing near the border. No injuries were reported. On 25 May 2014, Israeli forces stationed on the watchtowers along the northern border, northwest of Beit Hanoun in the northern Gaza Strip, opened fire at a group of workers who were collecting raw materials near the border fence in the destroyed industrial zone near Beit Hanoun “Erez” Crossing. As a result, a Palestinian civilian was wounded by a bullet to the left leg. On 26 May 2014, ‘Emad Shokri Salem (52) from Beit Lahia Housing Project was wounded by two bullets to the back and right hand when Israeli forces stationed along the border, northwest of Beit Lahia in the northern Gaza Strip, opened fire at a group of Palestinian civilians who were along the Beit Lahia shore around 300 meters away from the northern borders. In the context of targeting Palestinian fishermen in the sea, on 24 May 2014, Israeli gunboats stationed off al-Waha Shore, northwest of Beit Lahia in the northern Gaza Strip, opened fire in the vicinity of the Palestinian fishing boats sailing 3 nautical miles offshore. No injuries were reported, but fishermen lost 4 nets which are 250 meters long. On 27 May 2014, Israeli naval forces arrested 3 Palestinian fishermen while sailing 3 nautical miles off Rafah shore in the southern Gaza Strip. In the West Bank, on 23 May 2014, Israeli forces wounded 3 Palestinian civilians who were participating in a demonstration organized in the vicinity of ‘Ofer Prison, southwest of Ramallah, in solidarity with the Palestinian administrative detainees who have been on hunger strike in the Israeli jails. The first civilian (19) sustained a bullet wound to the right leg, the second one (24) was hit by a tear gas canister to his chest, and the third one (23) sustained a rubber-coated metal bullet wound to his forehead. On 24 May 2014, Israeli forces stationed on watchtowers established along the fence surrounding “Beit Eil” settlement, north of Ramallah, opened fire at a group of boys in the agricultural lands near al-Jalzone UNRWA School for Boys to the west of the aforementioned settlement. As a result, Mohammed ‘Ali Hasan Safi (‘Eishawi) (18) from the refugee camp was wounded by 3 bullets to the left and right legs. He was arrested and taken to Hadasa ‘Ein Karem Hospital in Jerusalem, where his wounds were described as critical. In the same context, Israeli forces used excessive force against peaceful protests organised by Palestinian civilians, international and Israeli human rights defenders in protest at the construction of the annexation wall and settlement activities in the West Bank. As a result, dozens of protestors suffered tear gas inhalation, and others sustained bruises as they were beaten up by Israeli soldiers. During the reporting period, Israeli forces conducted at least 65 military incursions into Palestinian communities in the West Bank. During these incursions, Israeli forces arrested at least 46 Palestinians, including 10 children and a woman. On 22 May 2014, Israeli forces moved 200 meters into the east of Khaza’ah village, east of Khan Younis in the southern Gaza strip. They levelled lands along the border fence and then redeployed along the border fence. The illegal closure of the Gaza Strip, which has been steadily tightened since June 2007 has had a disastrous impact on the humanitarian and economic situation in the Gaza Strip. The Israeli authorities impose measures to undermine the freedom of trade, including the basic needs for the Gaza Strip population and the agricultural and industrial products to be exported. For 7 consecutive years, Israel has tightened the land and naval closure to isolate the Gaza Strip from the West Bank, including occupied Jerusalem, and other countries around the world. This resulted in grave violations of the economic, social and cultural rights and a deterioration of living conditions for 1.7 million people. The Israeli authorities have established Karm Abu Salem (Kerem Shaloum) as the sole crossing for imports and exports in order to exercise its control over the Gaza Strip’s economy. They also aim at imposing a complete ban on the Gaza Strip’s exports. Israeli forces have continued to impose severe restrictions on the movement of Palestinian civilians throughout the West Bank, including occupied East Jerusalem. Thousands of Palestinian civilians from the West Bank and the Gaza Strip continue to be denied access to Jerusalem. As part of using military checkpoints and border crossings as traps to arrest Palestinian civilians under the pretext they are wanted, Israeli forces arrested 5 Palestinian civilians at military checkpoints in the West Bank, and another 5 civilians along the border between the Gaza Strip and Israel. Israel has continued its settlement activities in the oPt, in a direct violation of international humanitarian law, and Israeli settlers have continued to attack Palestinian civilians and property. On 22 May 2014, Israeli forces accompanied by a group of settlers moved into Thaher al-Soboh area, north of Kafr al-Deek village, west of Salfit. They surveyed tracts of lands in the area till at approximately 15:00. At approximately 09:00 on Sunday, 25 May 2014, Israeli forces backed by bulldozers moved into the area again and leveled tracts of lands in it. The lands threatened with leveling are located adjacent to “Brokhin” and “’Ali Zihav” settlements. On 23 May 2014, settlers from “Mitsibi Ya’ir” settlement established on Palestinian lands, east of Yatta, south of Hebron, set fire to peals of wheat crops on a land belonging to Khaled Mousa al-Najjar (60), from Qawawis village, east of the city. On the same day, four settlers from “Kokhaf Hashaher” settlement established on the lands of Deir Jarir village, northeast of Ramallah, attacked two civilians who were on the road between Mekhmas and al-Tibah villages, northeast of the city. During their attack, the settlers used plastic sticks, clubs and a knife causing injuries and bruises to them. 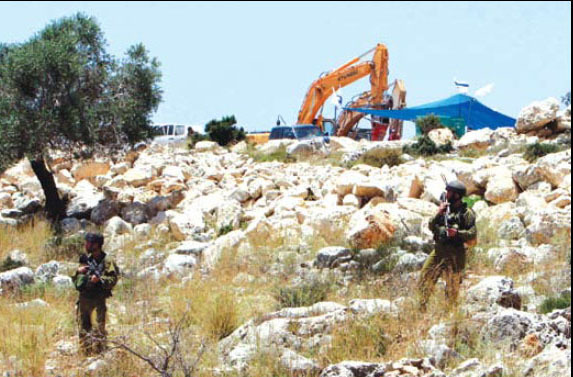 On 26 May 2014, settlers from “Hayofal” outpost established on the Palestinian lands, west of Qaryout village, southeast of Nablus, cut down 30 almond and olive trees from the aforementioned village lands. The attack was backed by the settlement guard, who claimed that the trees were cut for security reasons. On 27 May 2014, when Fawzi Ibrahim ‘Abed Haj Mohammed arrived at his land in Khelet Abu Shabraqah area, southeast of Jaloud village, southeast of Nablus, he was surprised that settlers entered their sheep into the land and damaged the wheat crops, i.e. 45 dunums, causing a loss of around 45,000 NIS. During the reporting period, Israeli soldiers used excessive force against peaceful demonstrations organised by Palestinian civilians, international and Israeli human rights defenders in protest at the construction of the annexation wall and settlement activities in the West Bank. (PCHR keeps the names of the wounded in fear of being arrested by the Israeli forces within its policy to oppress the peaceful protests and prevent Palestinian civilians from participating). Following the Friday Prayer, 23 May 2014, dozens of Palestinian civilians and international and Israeli human rights defenders organized a peaceful demonstration in Bil’in, west of Ramallah, in protest at the construction of the annexation wall and settlement activities and in solidarity with Palestinian prisoners on hunger strike. Demonstrators took the streets raising the Palestinian flags and headed to the liberated territories near the annexation wall. Israeli forces stationed behind the wall, in the western area, and a large number of soldiers deployed along it, fired live bullets, tear gas canisters, rubber-coated steel bullets, sound bombs and skunk water at them and chased them into the olive fields. As a result, a number of demonstrators suffered tear gas inhalation and others sustained bruises as they were beaten up by Israeli soldiers. On the same day, dozens of Palestinian civilians organized a peaceful demonstration in the centre of Ni’lin village, west of Ramallah, in protest at the construction of the annexation wall and settlement activities and in solidarity with Palestinian detainees on hunger strike. Demonstrators took the streets and headed to the annexation wall. Israeli forces closed the gates of the wall with barbwires and prevented the demonstrators from crossing to the land behind it before they responded by throwing stones. Israeli soldiers fired live ammunition, rubber-coated metal bullets, sound bombs and tear gas canisters at the demonstrators. They also sprayed waste water at them and chased them into the olive fields. As a result, many civilians suffered tear gas inhalation and bruises as they were beaten up by Israeli soldiers. Around the same time, dozens of Palestinian civilians and Israeli and international human rights defenders organised a peaceful demonstration in Nabi Saleh village, northwest of Ramallah, in protest at the construction of the annexation wall and settlement activities, in solidarity with the Palestinian prisoners on hunger strike. Demonstrators took the streets raising the Palestinian flags and chanting slogans against the occupation and in support of the Palestinian unity, and they then headed to the lands that the settlers are trying to seize by force near “Halmish” settlement. Israeli forces closed all the entrances of the village since the morning to prevent Palestinian and international activists and journalists from participating in the demonstration. When they arrived at the aforementioned land, Israeli forces fired live bullets, tear gas canisters, rubber-coated metal bullets, sound bombs and waste water at the demonstrators and chased into the village. Moreover, many demonstrators suffered tear gas inhalation, and others sustained bruises due to being beaten up by Israeli soldiers. At approximately 13:00 on the aforementioned day, dozens of Palestinian civilians and international activists organized a peaceful demonstration in the centre of Kufor Qaddoum village, northeast of Qalqilya, in protest at the closure of the eastern entrance of the village with a metal gate since the beginning of the second Intifada. Protestors threw stones at the Israeli soldiers who fired live bullets, tear gas canisters, rubber-coated steel bullets, and sound bombs in response. As a result, many civilians suffered tear gas inhalation and others sustained bruises due to being beaten up by Israeli soldiers. On Friday afternoon, 23 May 2014, dozens of Palestinian young men gathered near ‘Ofer prison, southwest of Ramallah, to organize a demonstration in solidarity with administrative detainees in the Israeli jails. Protesters headed towards the prison's gate, so the Israeli forces closed the gate and large numbers of Israeli soldiers were deployed in the vicinity of it. Protestors set fire to tires and threw stones and empty bottles at the Israeli soldiers who fired in response live ammunition, rubber-coated metal bullets, sound bombs and tear gas canisters at them. As a result, 3 civilians sustained wounds and were taken to Palestine Medical Complex to receive the necessary medical treatment. Moreover, a number of civilians suffered tear gas inhalation. The first civilian (19) sustained a bullet wound to the right leg, the second one (24) was hit by a tear gas canister to his chest, and the third one (23) sustained a metal bullet wound to his forehead. After the Friday prayer of the aforementioned day, dozens of Palestinian young men gathered at the western entrance of Selwad village, northeast of Ramallah on the road between Selwad village and Yabrod village near Street (60) to throw stones at the aforementioned street. The Israeli soldiers stationed in the area fired live ammunition, rubber-coated metal bullets, sound bombs and tear gas canisters at them and chased them into the village. As a result, a number of civilians suffered tear gas inhalation and others sustained bruises as they were beaten up by Israeli soldiers. At approximately 13:00 on Saturday, 24 May 2014, activists from the Popular Committee against the Wall and Settlements and Hebron Defense Committee and other civilians residents organized a peaceful demonstration at the entrance of al-Fawwar refugee camp in solidarity with the Palestinian prisoners on hunger strike. Demonstrators took the streets raising the Palestinian flags and chanting slogans against the occupation. Israeli soldiers moved into the area and deployed in order to distance the demonstrators from the area. The Israeli soldiers then fired sound bombs and tear gas canisters at the demonstrators. As a result, some of them suffered tear gas inhalation. Meanwhile, youngsters gathered to throw stones and empty bottles at the soldiers who fired tear gas canisters in response. No arrests were reported. Gaza Strip Israeli forces continuously tighten the closure of the Gaza Strip and close all commercial crossings, making the Karm Abu Salem crossing the sole commercial crossing of the Gaza Strip, although it is not suitable for commercial purposes in terms of its operational capacity and distance from markets. Israeli forces have continued to apply the policy, which is aimed to tighten the closure on all commercial crossings, by imposing total control over the flow of imports and exports. The total closure of al-Mentar ("Karni") crossing since 02 March 2011 has seriously affected the economy of the Gaza Strip. Following this closure, all economic and commercial establishments in the Gaza Commercial Zone were shut off. It should be noted that al-Mentar crossing is the biggest crossing in the Gaza Strip, in terms of its capacity to absorb the flow of imports and exports. The decision to close al-Mentar crossing was the culmination of a series of decisions resulting in the complete closure of the Sofa crossing, east of the Gaza Strip in the beginning of 2009, and the Nahal Oz crossing, east of Gaza City, which were dedicated for the delivery of fuel and cooking gas to the Gaza Strip, in the beginning of 2010. The cooking gas crisis has fluctuated for 9 months due to the closure of Karm Abu Salem for security claims. According to PCHR’s follow-up, Israeli authorities only allow an average of 98 tons of cooking gas into Gaza per day. This limited quantity is less than half of the daily needs, which is 200 tons per day of the civilian population in the Gaza Strip during winter. The crisis has unprecedentedly aggravated for around six weeks due to cold weather and overconsumption in addition to the power outage and using gas as an alternative in many instances of electricity. The lack of diesel and benzene led to the aggravation of the crisis as a result of using the gas cylinder for cars or as an alternative for benzene to run generators. As a result, the demand for gas further increased. For almost 6 consecutive years, Israeli forces have continued to prevent the delivery of construction materials to the Gaza Strip. Two years ago, Israeli forces approved the delivery of limited quantities of construction materials for a number of international organizations in the Gaza Strip. On 17 September 2013, they allowed the entry of limited quantities of construction materials for the private sector. However, on 13 October 2013, they re-banned it claiming that these materials are used for constructing tunnels. Last week, Israeli forces allowed the entry of construction materials only for UNRWA and UNDP projects. As a result, construction works have completely stopped impacting all sectors related to construction and an increase in unemployment levels. Israeli forces also continued to impose an almost total ban on the Gaza Strip exports, including agricultural and industrial products, except for light-weighted products such as flowers, strawberries, and spices. Israel has continued to close the Beit Hanoun (“Erez”) crossing for the majority of Palestinian citizens from the Gaza Strip. Israel only allows the movement of a limited number of groups, with many hours of waiting in the majority of cases. Israel has continued to adopt a policy aimed at reducing the number of Palestinian patients allowed to move via the Beit Hanoun crossing to receive medical treatment in hospitals in Israel or in the West Bank and East Jerusalem. Israel denied permission to access hospitals via the crossing for new categories of patients from the Gaza Strip. The Egyptian authorities allow the population of the Gaza Strip to travel via Rafah International crossing, which connects the Gaza Strip with the outside world. Only limited and specified categories are allowed, including patients, students, persons that hold residencies in Egypt or abroad, men over 40 years, females in all ages, children under 18, persons who hold Arab and foreign nationalities, and members of Arab and international humanitarian delegations. Supposedly the crossing opens seven days a week. Nowadays, the crossing is overcrowded due to the prolonged procedures from the Egyptian side, particularly after closing it for several days over the past weeks due to Egypt’s security conditions, which has affected the travelers’ movement in both directions. 14. PCHR calls upon the Palestinian leadership to sign and accede to the Rome Statute of the International Criminal Court and the Geneva Conventions, and calls upon the international community, especially the United Nations, to encourage the State of Palestine to accede to international human rights law and humanitarian law instruments. A report from the Israeli Central Bureau of Statistics and Btirm Association shows that the Arab child mortality rate reached threefold in comparison to the Israeli child mortality rate. The report indicated that 60 percent of the dead children in "Israel" are Arabs. The report was issued after Arab MK Masoud Ghanayem called for holding a session for Child Parliamentary Committee in the Israeli Knesset to discuss the situation of the Arab children. Depending on the report, most of Arab deaths are aged 0 to 5. Despite the Arab children rate reached less than 25 percent of the total number of the children in Israel, Arab child mortality rate is more than sevenfold compared to the Israeli child rate. The report unveiled that 197 Arab children (0-17) out of 332 died due to road accidents. 37 out of 81 died of drowning, 21 of suffocation and 14 out of 37 of falling. The report noted that 32 children, including 19 Arabs, died due to poisoning. 14 including 9 Arabs were stabbed to death, 11 Arab children out of 18 were subject to fatal blows. 13 other Arab children died due to sunstroke and electricity, while 32 out of 81 died of ambiguous reasons. The report stated that 63 Arab children out of 113 died in 2008. In 2009, 106 children including 51 Arabs died. 81 Arab children of 161 died in 2010, while 60 out of 120 died in 2011. In 2012, 57 Arab children out of 121 died, while 65 children out of 109 died in 2013. Israel has suspended a soldier in the fatal shootings of two Palestinian teenagers at a protest held on May 15 in the occupied West Bank, Israeli media reported on Wednesday. The incident stirred an outcry after a human rights group released video footage it said showed the youths had not posed any danger to soldiers and they were shot unlawfully. The killings took place as protests erupted across the West Bank on Nakba Day, when the Palestinians mark the loss of the 1948 war that resulted in the creation of Israel and the flight of hundreds of thousands of Palestinians. Muhammad Abu Thahr and Nadim Nuwara had both been shot in the heart, Palestinian hospital officials said, giving their ages as 16 and 17. Two Israeli media organizations, the Haaretz news Web site and Channel 10 television, said on Wednesday the Israeli military had suspended a soldier from a communications unit and confiscated his weapon soon after the incident. The reports said the soldier was suspected of having fired his gun without authorization, "very close to when" one of the youths was killed. No apparent evidence linked the soldier to either fatality, though, in the incident outside Israel's Ofer prison near the West Bank city of Ramallah. The soldier was suspected of firing rubber bullets, not live ammunition, the reports said. An Israeli military spokesman declined comment on the reports, saying "the incident is still under investigation by military police." The media reports said a military tribunal had clamped a gag order on other details of the case. The military said on May 20 that a preliminary investigation indicated that security personnel had fired rubber bullets but not live ammunition during the clashes. The Palestinian government has accused Israel of "cold-blooded murder" and carrying out "a war crime against defenseless children". Five days after the shootings, Defence for Children International (DCI) posted two minutes of video on YouTube, which it said was edited from six hours of surveillance footage from fixed security cameras at a Palestinian-owned business that overlooks the scene. The group said the video shows that troops had committed "unlawful killings where neither child presented a direct and immediate threat to life at the time of their shooting". The Organization of Islamic Conference (OIC) in its monthly report that discussed the human conditions in the Gaza Strip said that the situation in the Gaza Strip is unbearable due to the siege imposed by the Israeli occupation and the closure of the main crossings. The OIC Tuesday appealed the Egyptian authorities to open the Rafah crossing round the clock. About 13,000 Gazans are registered to travel abroad and waiting for opening Rafah crossing to end their aggravated crisis. The organization pointed out that the Egyptian authorities opened Rafah crossing for 11 days only since the beginning of 2014. According to the organization's report, the number of families that have orphans is 7873. The orphans number in the Gaza Strip is 22776, pointing out that 51% of them are males and 49% are females. In April, the Israeli military aircraft raided the besieged enclave more than 15 times, the OIC's report stated. The raids caused serious damages to 26 houses, 7 civil cars, 3 workshops of plumping and blacksmith, and 18 cattle. No injuries were reported. In terms of the electricity crisis, the report unveiled that the amount of the Qatari fuel that runs the power plant and enters the strip via Karm Abu Salem crossing was decreased due to closing the crossing during the Jewish feasts. Due to the lack of finance, the number of humanitarian projects carried out in the strip has noticeably decreased, the OIC observed. Israel has subjected the Gaza Strip to a policy of closure since 1991. However, the current, most extreme form, of closure has been applied continuously since 2007. 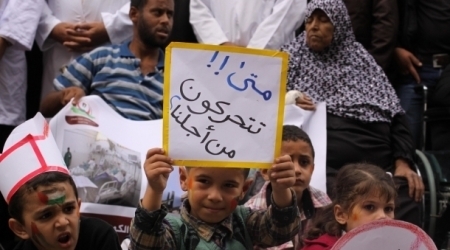 Apart from depriving the 1.8 million inhabitants of Gaza of basic goods and crippling the economy by preventing trade with the outside world, the closure regime has prolonged the suffering caused by the Israeli attacks on Gaza in December 2008 and January 2009. A new draft bill initiated by the Jewish Home and Likud Beitenu members of the Knesset aims to define non-governmental organizations or Israeli individuals who receive funding from foreign countries as "foreign agents". Under the bill, contributions from foreign countries to these organizations will be taxed and the NGOs will be required to submit regular reports to Israeli authorities. In addition, they will be required to publicize that they serve as "foreign agents" alongside their logos on official documents. The bill was initiated by MKs Ayelet Shaked (Jewish Home), Robert Ilatov (Likud Beitenu) and Yariv Levin (Likud Beitenu). If adopted it will practically eliminate the tax exemption enjoyed today by human rights and social justice associations and impair their ability to be financed. According to the right wing MKs, there are dozens of organizations active in Israel "that receive funding from foreign governments in exchange for the organization’s promise to promote their interests". "As of today, these organizations have no obligation of proper disclosure, in which they have to present themselves as clearly representing foreign interests that do not accord with Israeli interests," the MKs write in the preamble to the bill. The right wing organization, NGO Monitor, takes credit for Israeli legislation aimed at restricting democratic rights. NGO Monitor's "cut and paste" reports aim to terrorize foreign donors, and they are also used by like-minded MKs. MK Shaked, for example, headed the 'My Israel' movement before she was elected to the Knesset. The movement provides the settler's 'Yesha Council' with logistics and PR services. A recent rights report has warned against escalating violations of both Israeli authorities and settlers against Islamic and Christian holy shrines in Palestine, amounting to 525 over the past five years. According to Al Ray, “The Settlers’ Violence & Violations against The Islamic & Christian Holy Shrines in the Occupied Palestinian Territories” report was issued in Arabic by Vienna-based ‘Friends of Humanity International’ organization, Gaza-based Center for Political and Development Studies (CPDS), and the Beirut-based Palestinian Association for Human Rights “Witness”. The report highlights the organizations in question, their means, their sponsors and implications, as well as the extent to which Israel as an occupying power is committed to protecting pilgrims to Islamic shrines. 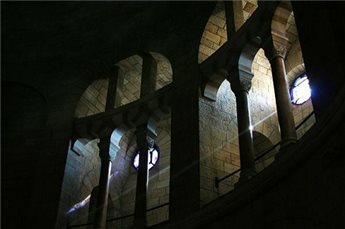 Additionally, the report stated that the violations took place almost daily, ranging from closure of places of worship, arson of mosques and churches, depriving the Palestinians of the right of access to places of worship, vandalism and destruction of property, physical assault, verbal abuse, threats and racist graffiti. Details of the report can be viewed at Al Ray. Just today, Israeli nationalist organizations called for a march through Al Aqsa Mosque Compound, according to the Waqf Foundation in charge of the compund. Thousands of Israeli Jews would attend, and police would close down roads in occupied East Jerusalem during the march. Israeli police spokesman Micky Rosenfeld tweeted: "Police complete security assessments for tomorrow's "Jerusalem Day" celebrations, Ma'an reports, adding that hundreds of officers will be involved in security measures." Al-Aqsa is located in East Jerusalem, a part of the internationally recognized Palestinian territories which have been occupied by the Israeli military since 1967. It is the target of frequent attacks by settlers and soldiers alike, with violations ever increasing. Also in Jerusalem, an unidentified arsonist started a fire in Dormition Abbey church, late Monday, near the Old City of Jerusalem, a bishop told Ma'an, noting that the attack took place just following a mass the Pope had conducted there, earlier in the day, the last of his official visit. "Someone entered the church and went down to the crypt, took a book that is used by pilgrims to a small room next to the organ, and set some wood crosses on fire," the Benedictine Abbot of the church, Nikodemus Schnabel, told AFP. The church has also been subjected to attacks in the past, according to Ma'an. In 2013, suspected Jewish vandals sprayed "Christians are monkeys" and "price tag" on the walls and slashed the tires of cars around the church. The Israeli police said they were investigating the fire. A small fire also broke out in the Church of the Nativity in Bethlehem, on Tuesday, but Father Ibrahim Faltas, economist of the Custody of the Holy Land, told Ma'an that a candle holder accidentally fell causing a curtain to light on fire. He said the that fire caused minor damage to the Grotto of the Nativity. Amnesty International organization has called on the Israeli occupation authorities to release all Palestinian administrative detainees, unless they are charged with an internationally recognizable criminal offence, or to try them promptly and fairly. 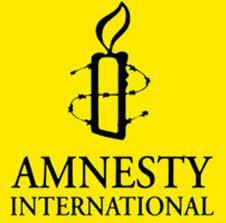 In its statement issued on Sunday, Amnesty International stated that more than 100 administrative detainees have launched an open hunger strike on the 24th of April protesting their continued detention without trial or charge and demanding an end to the Israeli administrative detention policy. The statement pointed out that hundreds of Palestinians were detained under Israeli military detention orders, without charge or trial. After six months, the administrative order signed by a military commander is renewed under the pretext of the so-called secret file where neither the detainee nor his lawyer is ever informed of its details. Since 1967, Israeli authorities have held thousands of Palestinians under administrative detention, the statement pointed out. In his turn, head of the organization in occupied territories Yonatan Ger stated that administrative detainees risk death in Israeli jails, calling on Israeli authorities to meet their demands and put an end to this arbitrary policy. A human rights organization identified the current state of affairs in Occupied East Jerusalem, specifically in the areas located outside of the security fence, as a hard and an unbearable one due to the ongoing indifference of the Israeli Occupation Authorities (IOA). According to a report published on Sunday, 75% of eastern Jerusalem’s Palestinian natives live below the poverty line, a percentage that goes up to 82% among Jerusalemite children. The Civil Rights Organization in 48 occupied Palestine said in its annual report under the heading “Eastern Jerusalem: Data and Statistics’,” that 100 thousand Palestinians, amounting to around 1/3 of the city’s population, live outside of the Separation Wall and are denied their most basic rights, including education and infrastructure, amid IOA’s rising negligence. The report revealed that Jerusalemite natives have been subject to an unparalleled upsurge in crime rates, including burglary and homicide, besides the frequent water cut offs targeting dozens of Palestinian homes in these areas. 14%, only, of Jerusalem’s overall area is allotted to authorized Palestinian construction processes, as opposed to a percentage of ban-areas estimated at 35%, declared by IOA a natural open space. The report documented a shortage of 2,000 classrooms in Palestinian schools, resulting in the transformation of dozens of family-apartments into schools crammed with Palestinian learners, seeking to pursue their studies by all means. These areas have been confiscated by IOA since 1967 and made into a favorable terrain for Israeli illegal settlements. 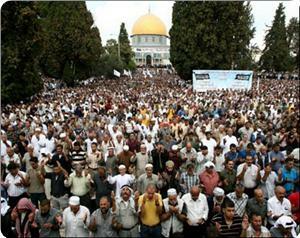 Between 1967 and 2013 IOA called off residence-permits of more than 14 thousand Palestinians from Eastern Jerusalem. Meanwhile, Israeli courthouses turned down appeals to halt its arbitrary residence-bans, the report further revealed.